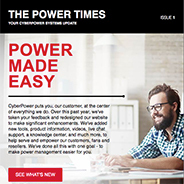 The Power Times is CyberPower’s quarterly newsletter, featuring events, product launches, and current promotions. Our latest release of PowerPanel Business Edition software (v3.4) is compatible with Nutanix cloud software. 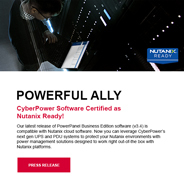 Now you can leverage CyberPower’s next gen UPS and PDU systems to protect your Nutanix environments with power management solutions designed to work right out-of-the box with Nutanix platforms. The sleek new designs look great in any office environment. 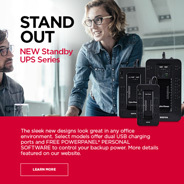 Select models offer dual USB charging ports and free PowerPanel® Personal Sofware to control your backup power. More details featured on our website. 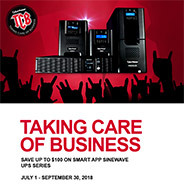 Featuring Taking Care of Business and Fed-Deals now on promotion. Learn about recent updates to our PowerPanel® Business Edition software–now VWware Ready! Sign up for new software release emails and read what’s new on our blog. 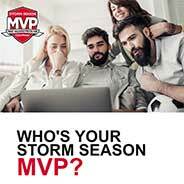 May through August is storm season where we see an increased frequency in severe weather events and stress to the utility grid. 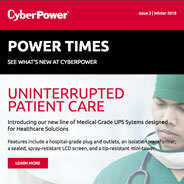 Introducing our new line of Medical-Grade UPS Systems. Save 10% now through March 31, 2018. Features include a hospital-grade plug and outlets, an isolation transformer, a spray-resistant LCD screen, and a tip-resistant design.